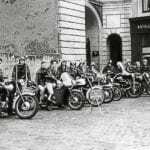 John Finch recalls the excitement he felt when he secured a job as a design draughtsman with the BSA Motorcycle Division’s Umberslade Hall – but sadly redundancy was already looming just over the horizon. After reading Dave Myers’ recent article about BSA’s Umberslade research centre, I was looking through some old books and paperwork when I came across a 14-page booklet that was produced to try to entice qualified engineers to BSA, and I thought OBM readers might be interested in its contents. 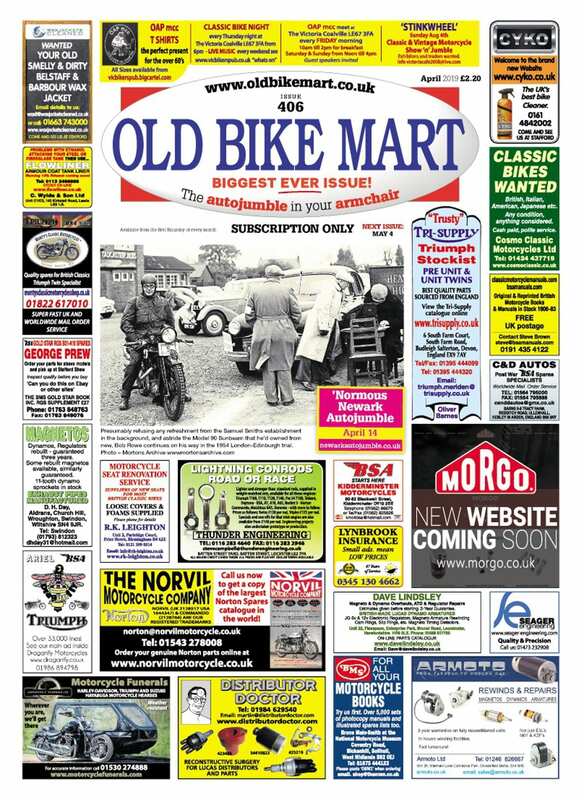 The fairly unexciting cover of the 14-page recruiting brochure describing opportunities for qualified engineers at the BSA Motorcycle Research Establishment featured this photo of Umberslade Hall. 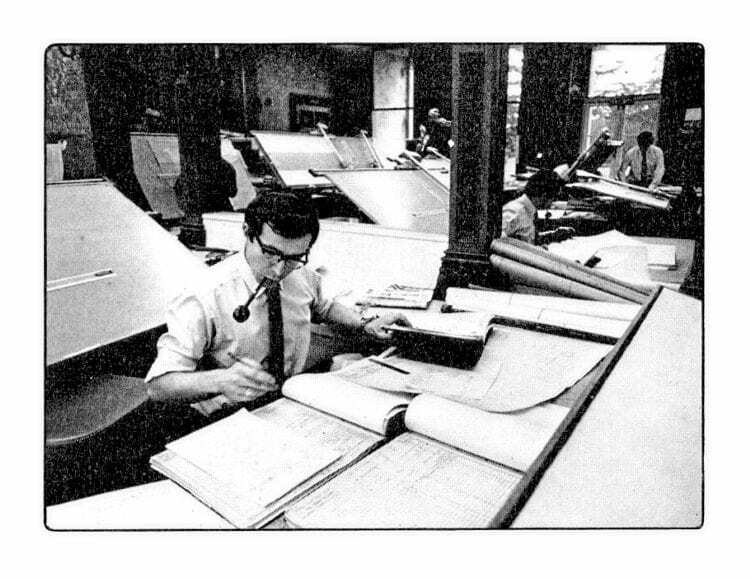 After a mechanical services apprenticeship in Birmingham, I spent around 18 months working as a design draughtsman at Automotive Products, working on Lockheed hydraulic car and commercial brakes, but in 1970 I successfully applied for a position in the drawing office at Umberslade Hall, and started work in the ballroom of the former manor house. 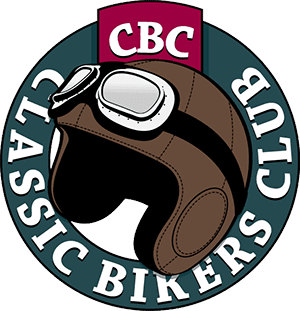 This was my dream job, because I’d had an interest in motorcycles from school age, starting with a BSA C12, then moving on to a B31 and a B33 before starting road racing in 1968. I went on to own many more road-going motorcycles, and still ride to this day. 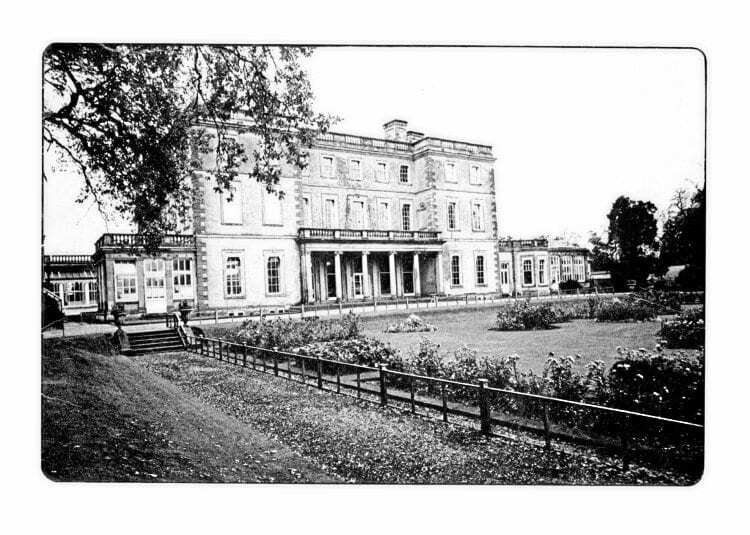 John Finch can partly answer reader Dave Myers’ assertion that nobody has yet produced an accurate description of who worked at Umberslade by showing himself, smoking his pipe in the former manor house’s ballroom. When I was courting and saving up for domesticity, I couldn’t afford to race five-hundreds which would need new tyres and chains every other meeting, so I decided to try 50cc racing, which needed only one tyre and chain per season (I was a lot lighter and slimmer in those days), but little did I realise how expensive it would become later on. My first bike was an Itom, then a Minarelli and finally an ex-works 50cc Jamanthi. 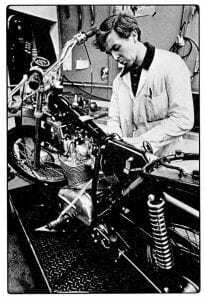 I raced in club events, the 1968 Isle of Man TT, the Ulster Grand Prix and the 1971 Dutch TT before going on to the Continent for around three months in 1972 after being made redundant following the demise of BSA. 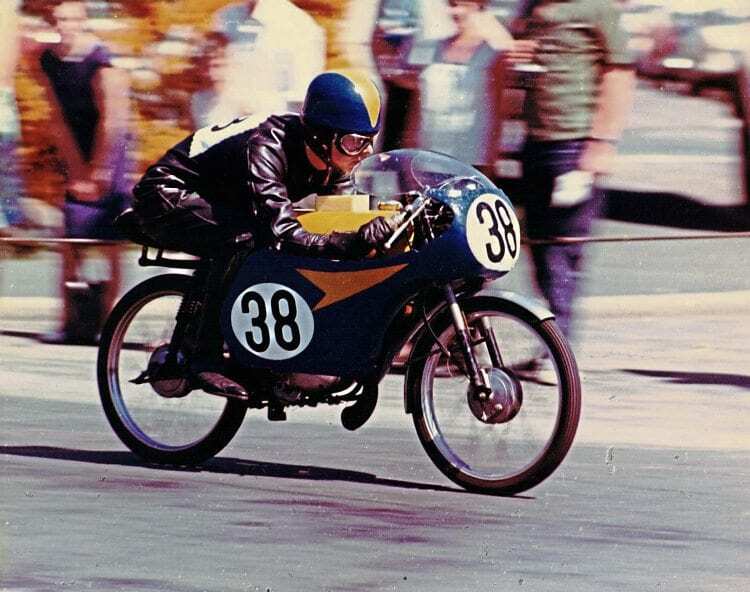 During his first race on the Isle of Man, John gets right down to it on his 50cc Itom. I might be one of the few people to have both raced in the TT (not very successfully) and run the Isle of Man ‘40’, which is basically around the TT circuit, but starting and finishing on the prom in Douglas, joining the course at Quarter Bridge. Reading about the Dandy reminded me that I bought my girlfriend (now my wife) one in 1967, and I too was amazed to discover that you had to split the crankcase to adjust the points. While I had the engine apart, I tried tidying up the porting, and my girlfriend was pleased to be able to pass several elderly men on Bantams who had previously passed her with ease. The prototype workshop facilities showed great promise. “And that is why they won’t sell many,” they cried. After a short time in the drawing office, I was transferred to development and worked with some great engineers, first on development of the two-fifty and then the seven-fifty twin. Work was split between testing on the dynamometers and a small amount of road testing. The work was interesting, with many ideas coming from the people actually working on development, but not many came from ‘on high’. 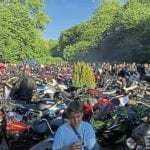 It was a sad day when it all closed down, with just a few people being transferred over to Triumph and the rest of us forced to seek pastures new. 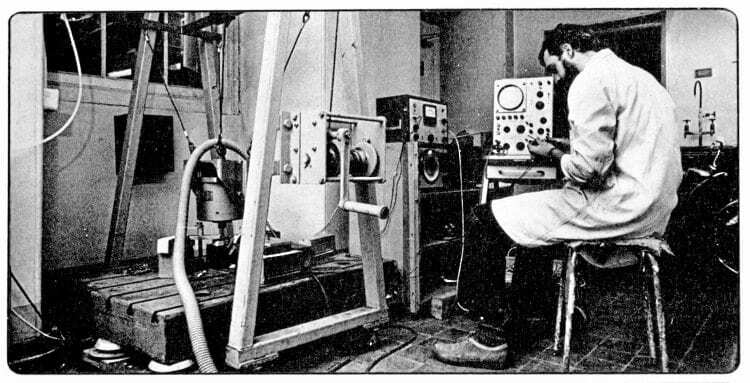 Work in progress at the vibration test rig. As I said earlier, I used this as a reason to get temporary work from the November until March when, together with my wife, we took the Jamanthi to the Continent to contest the world championships. Unfortunately the races and money ran out, and we had to return in June so that I could get “a proper job”. 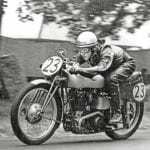 While racing on the Continent, I talked to many of the aces of the day, and recall one conversation with a Suzuki works rider who asked about BSA research. 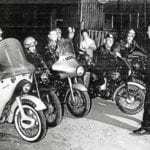 I described Umberslade and the Armoury Road production facility, and he replied that, as the Suzuki research centre alone was larger than the BSA production facility, the writing had been on the cards for years. 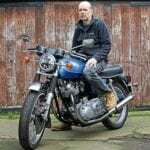 I’ve always kept an interest in bikes, presently using an Indian Royal Enfield on the road, with a BSA and Triumph awaiting restoration. Next Post:Some things are simply meant to be!